Isdam Edian was a dark-skinned male Human and a member of the Bespin Wing Guard. Edian served on Cloud City at the time of the Battle of Hoth. The sergeant was loyal to Baron Administrator Lando Calrissian and held a measure of disdain for those corrupt Wing Guards who accepted bribes. In The Empire Strikes Back, Edian was played by Quentin Pierre, who was also Billy Dee Williams's stand-in for Return of the Jedi. In 1982, Kenner made him into an action figure called the Bespin Security Guard. Edian was the second of two Bespin Security Guard variants. He is named "Bespin Guard" in the 2006 "Slave I" LEGO model. In 2009, Sergeant Edian appeared in the Hasbro line of Star Wars action figures. 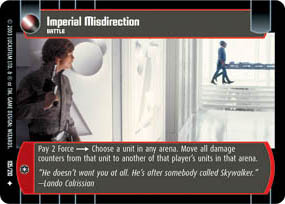 Edian's first name of Isdam was revealed in the Rogues Gallery of Star Wars Insider 148.